March Bash-ness 2019 – FINALS! « Big Squid RC – RC Car and Truck News, Reviews, Videos, and More! 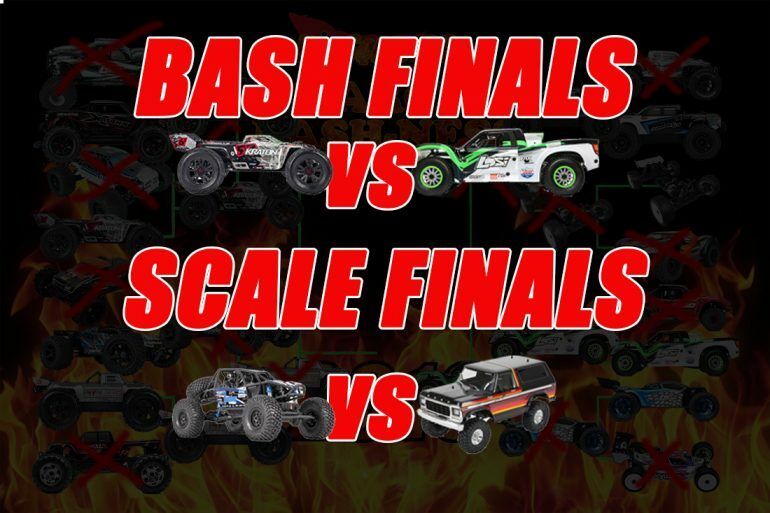 It’s the 2019 March Bash-ness FINALS! Is there going to be a repeat from 2018 in the bash bracket? Is the ARRMA Kraton going to knock out the Losi Super Baja Rey? Last year the SBR was pretty new, not a lot of people had their hands on it still, and didn’t know how much of a basher it truly was, so this is going to be a super interesting match up! On the Scale we have the Axial Bomber up against the TRAXXAS TRX-4 Bronco! WOW! Talk about a war of the fanboys, this one is going to be intense! This voting round will last 5 days so you have till Midnight CST Tuesday March 16, 2019, to get your votes in! As always, we WILL ban you if we catch you stuffing the ballot box. Please don’t make us do that. Tell your friends! Tell your neighbors! Get the word out on social media to help support who you think should win!